This is a quick thought that came to me about the racist words of the owner of the L. A. Clippers basketball team. …i’m going to be frank and very personal about this basketball situation. I will never knock anyone that chooses to play in sports — and you can’t either. They have gifts that we do not possess. Just be real with yourself. Are you going to go run up and down a court for at least an hour a day (probably not)!?! So, I salute all folks in athletics. For folks to say that we should not have an opinion, or this is just the way it is… then you are totally off course and should just sit in your corner and rot in hell. 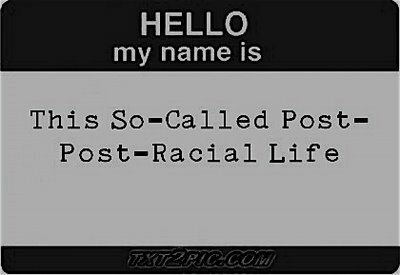 I don’t like it when folks are labeled. I don’t like it when people say that we live in a post-racial society (when in fact — it ain’t true). And, I especially don’t like it when elders want us to just deal with the situations that are coming at us of this caliber. If you look at the basketball roster of the L.A. Clippers there is not one person over 35 on that team. I’m in that generation. I deal with racist white folks too (EVERY DAY). How can you sit and say that we should just move on with the day or the weekend and not think about what was said? I just don’t get it. I believe in teaching and learning moments — and this is one of them. Again, I ain’t knocking folks who play in the sports world — what I am knocking is folks believing that we live in a POST-RACIAL society. What I am knocking is that generation x has been left out in the dust to deal with folk and racism at it hardest core — under the table! What I’m knocking is how black men have been labeled and cast off to the ever-evolving prison system in this country. What I’m knocking is how shyt ain’t really changed. You had your leaders to sit and teach you how to deal with this crazy azz shyt! Where are our leaders to help us with this 21st century crazy azz shyt? Where are you? You want to be a teacher, mentor, and leader — Stand Up And Teach Us.